Vespa ZX 125 price in Mumbai starts from Rs. 76,273 (Ex-showroom). ZX 125 is available in only 1 variant. 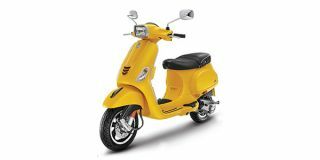 Vespa ZX 125's top competitors are Honda Activa 125 (price starting at Rs. 61,990 in Mumbai) and TVS NTORQ 125 (price starting at Rs. 64,179 in Mumbai).